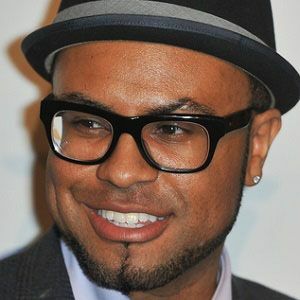 Famous as one third of the multi-Grammy-nominated Smeezingtons music production team, this songwriter and lyricist, along with his collaborators Ari Levine and Bruno Mars, has produced tracks for B.o.B., Travie McCoy, and CeeLo Green. He began performing when he was just four years old and started writing songs during his teen years. In 2013, he released a solo album titled Letters I Never Sent. The son of a gospel choir director and a DJ, he grew up in Evansville, Indiana, and later settled in Los Angeles, California, where he raised children named Zaima, Zadeh, and Zahlia with his wife Urbana. He co-wrote the Matisyahu hit "One Day," which rose to #1 on Israeli music charts and also secured a spot on the U.S. Billboard Hot 100.